Interested in purchasing their handmade natural soap bars but unsure if you’ll like them? 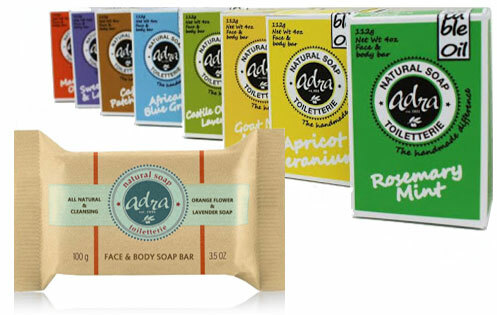 Why not try a Natural Soap Free Sample? Their cold-processing method retains all the valuable vitamins and minerals that would otherwise be lost in conventional machine soap manufacturing. Their soaps are scented with exquisite combinations of the finest plant-derived essential oils. Their handmade Traditional Hand Soaps line combines glycerin rich plant oils, and essential oil fragrances to develop a gentle skin moisturizing bar — ideal for everyday use. Say goodbye to dry skin! – Valid for USA, Canada and UK residents/addresses only. – One free soap bar per customer.